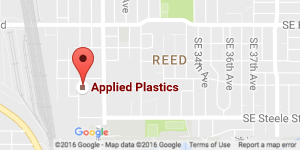 Applied Plastics Machining is a fully equipped, custom plastic fabricator. As plastic fabrication experts, we proudly produce only top-quality plastic displays and precision-made parts for our customers. We specialize in custom plastic fabrication and have the ability to create a wide variety of products using clear and colored plastics. These plastics include, but are not limited to, acrylic, vivak, polycarbonate, PVC, Sintra, and much more. Our fabricators are experienced in bending, joining, polishing, and forming plastic. On site screen-printing services provides us with the ability to personalize your products, and we have the capability of fabricating a single part or large runs of thousands of parts. With a diversified customer base from a variety of industries, our team at Applied Plastics Machining has worked with food processors, medical suppliers, manufacturers, and retailers to create a range of custom fabricated plastic products that include food bins, medical boxes, machine guards, store fixtures, sign holders, and POP displays. 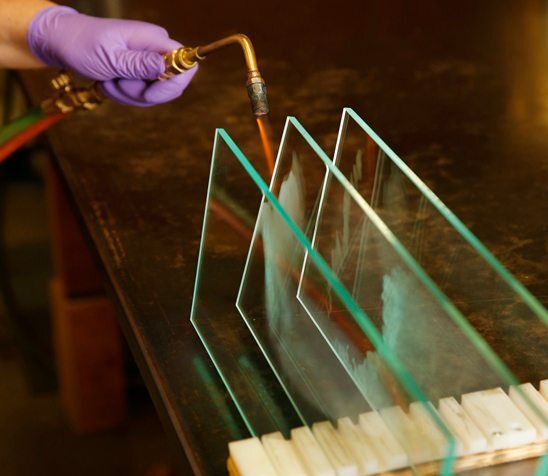 Our acrylic fabrication department uses state-of-the-art equipment, including computerized beam saws specifically made to cut plastic. This provides us the ability to offer you cut-to-size, whether you need one piece of plastic or a large quantity. Our team of skilled fabricators can transform your ideas and designs into high quality plastic parts. The experienced sales staff at Applied Plastics Machining can help you design the most cost effective product for your project. Just call, e-mail, or fax us your drawing or dimensions for a free quote.